I don't know about you guys but I had such a busy bank holiday weekend I was glad to have the extra day off, which means it's only a 4 day week...yey!! 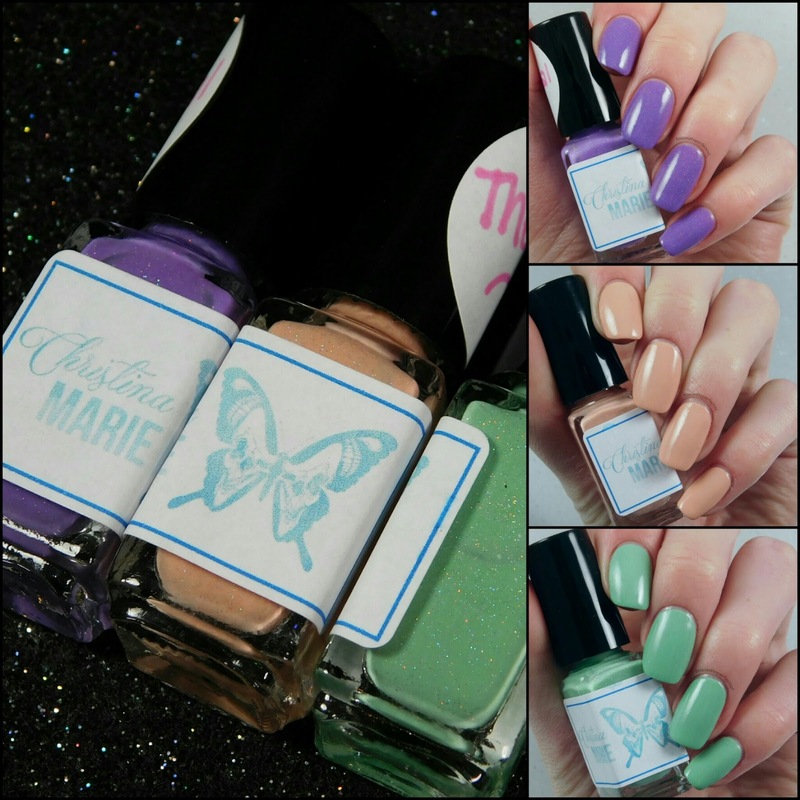 I have some swatches to share with you today of some new polishes by Christina Marie Handmade. 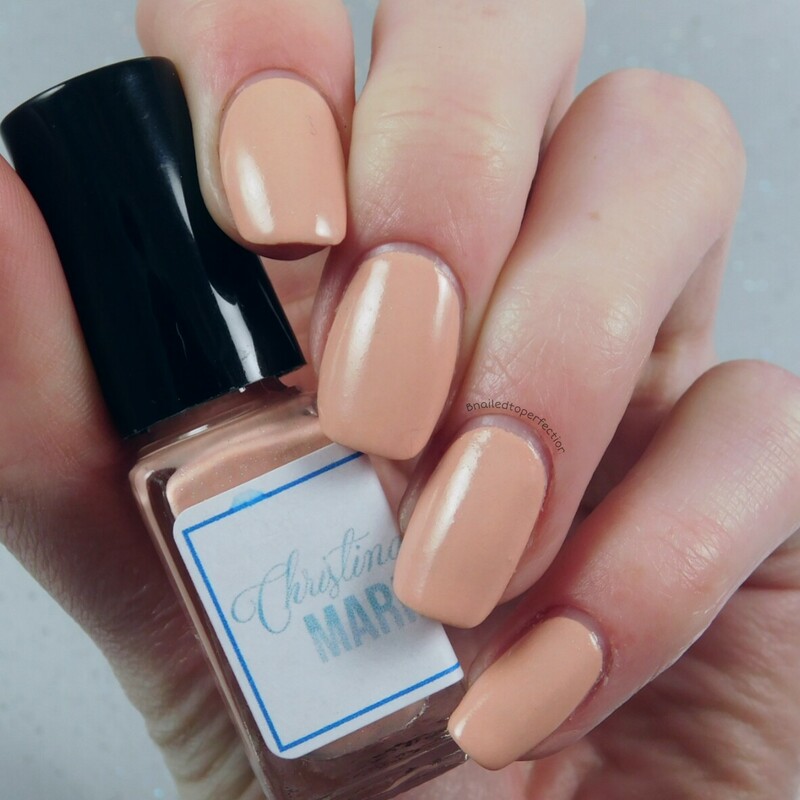 CM Handmade is a UK indie that is run by two sisters, Anna Christina and Shelley Marie, who make and sell nail polish, candles and gifts. Their polishes are 5 free and cruelty free. The polishes that were sent to me for review are thermals and form the Two-face collection. All swatches are shown with two coats of polish and HK Girl Quick dry top coat. First up is Powdered Lavender which is a gorgeous lavender colour. All these polishes have a fine amount of what looks to be tiny holographic specs. It's so subtle but really give it the finishing touches. 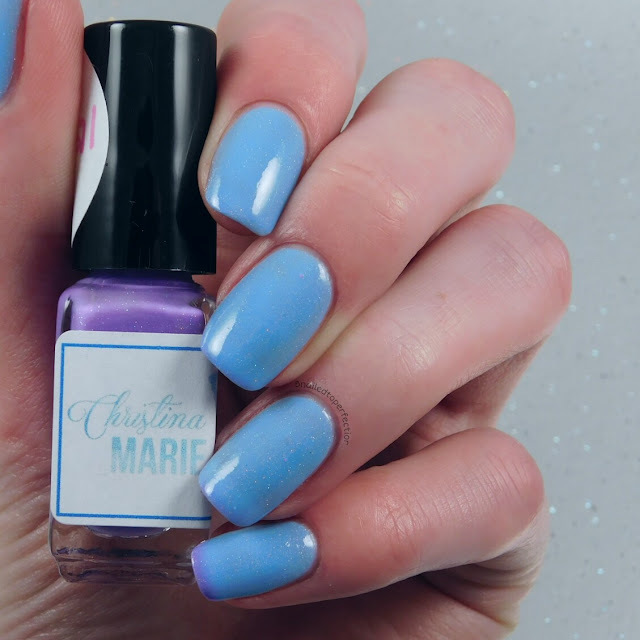 When warm, this polish turns to a powder blue. You should be able to see the transition on the left picture, where the tips are going back to the cold state. 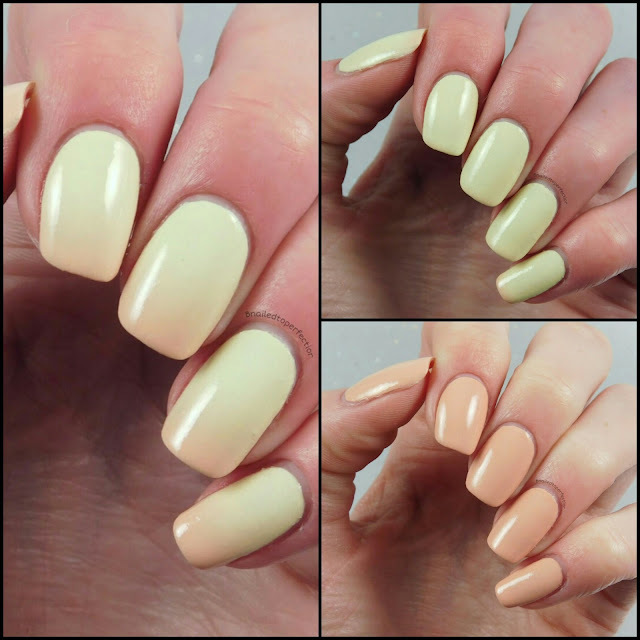 Next up is this light pastel peach named Iced Peach. When warm this one turns to a pale pastel yellow. Again, you should be able to see the transition on the tips of the nails. 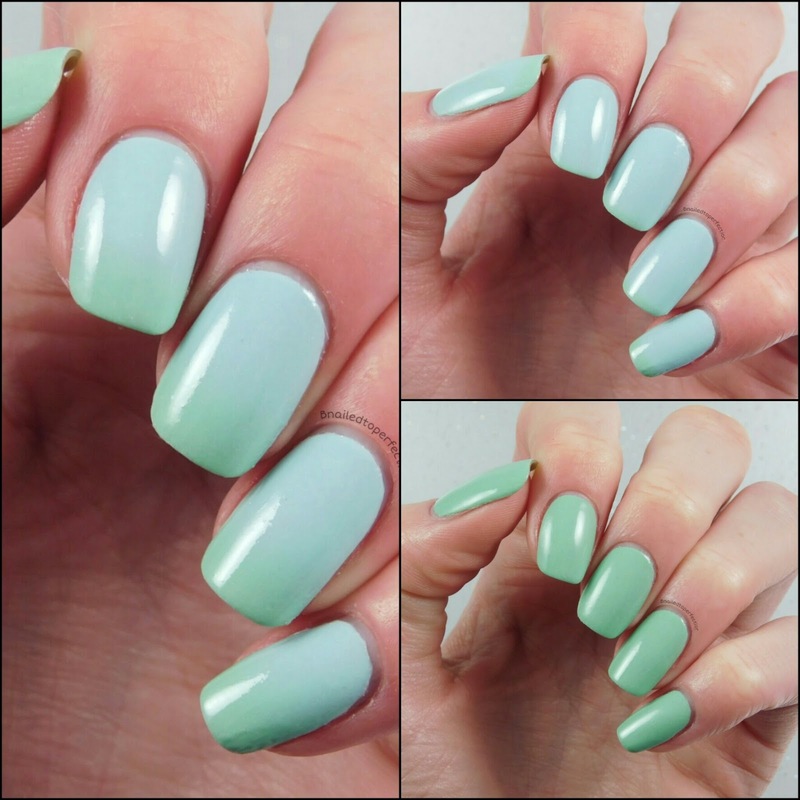 Lastly we have Spring Mint, which is a pastel spring green colour when cold. When warm is turns to a light mint. This one is quite a subtle transition but you can still see it. 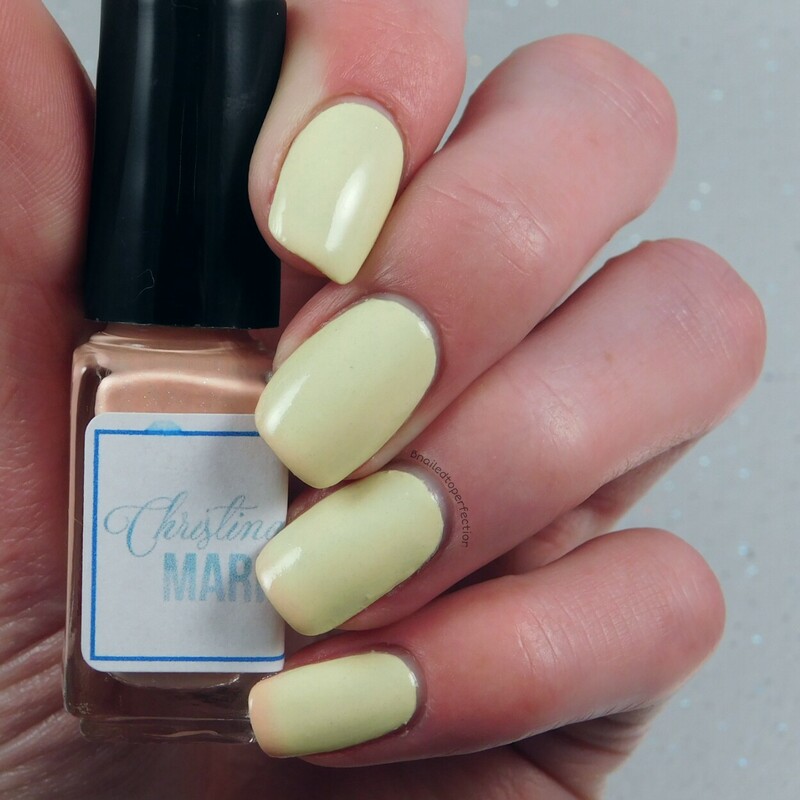 This was my first time trying Christina Marie Handmade polishes and I am very impressed. 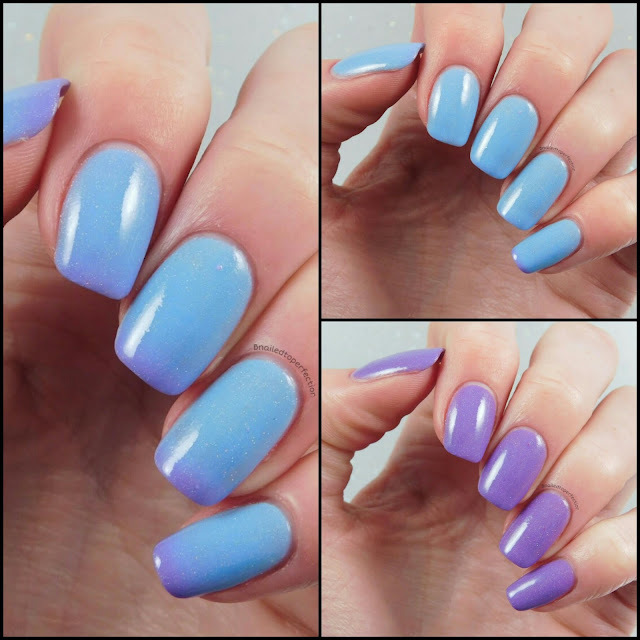 The formula on these is just perfect and only needed two coats. They dry very quick and the thermal properties work very well. I am unsure of the price of these polishes but I will edit this post once all the info is available. CM Handmade has taken a short break but their new website should launch on the 7th of May and I have seen other sneak peaks on their Instagram of new polishes and they look amazing! What do you think of these polishes? Do you have a favourite?